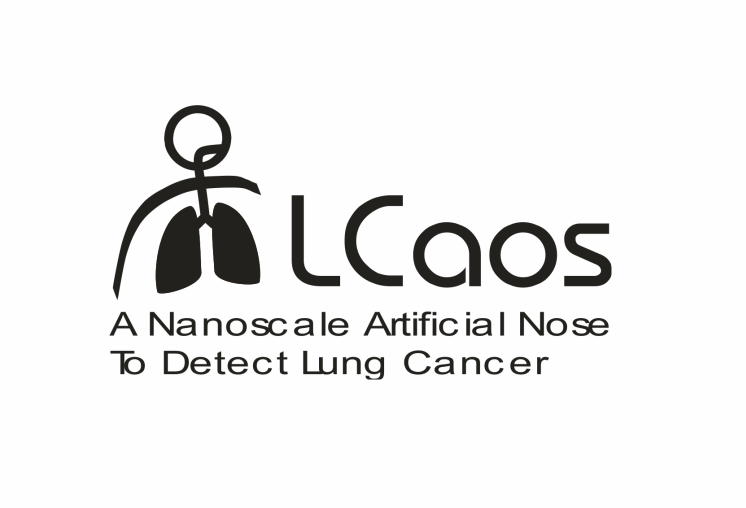 Developing a hand held instrument that can detect early stage lung cancer is the aim of the international LCaos project. 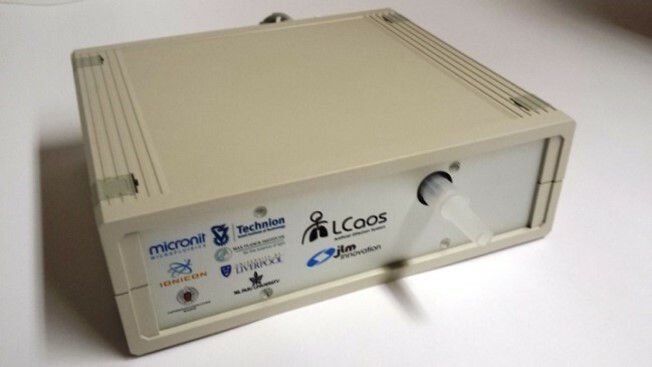 The LCaos project was funded under the 7th framework of the European Commission. 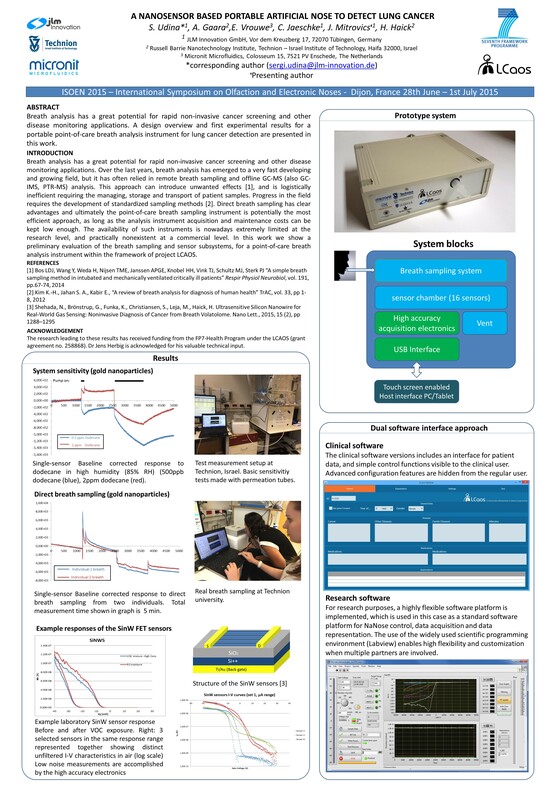 Within the project a new breath analysis instrument has been developed that combines silicon nanowire FET sensors and gold nanoparticle resistive sensors. performed clinical-related studies to assess lung cancer conditions in actual patients & tissues, and in the presence of real-world confounding signals.